Get ready for the next big tech business to go public. Snap, the parent company of the popular Snapchat app, revealed its financial numbers today in its IPO filing, along with plans to expand sales of its Spectacles tech glasses. In its filing late today with the US Securities and Exchange Commission, Snap said it currently had 158 million people using Snapchat on a daily basis. and that over 2.5 billion Snaps are created every day. It had just $58 million in revenues in 2015, but it greatly improved those numbers to $404.5 million in 2016. The bad news? The company is not yet profitable; in fact it lost a whopping $514.6 million last year. One interesting tidbit in the filing is that Snapchat entered into a contract with Google just a few days ago on Jan. 30. Specifically, the company will be using the Google Cloud platform for at least five years, and will pay Google $400 million a year for that privilege, for a total of $2 billion. The contract is not quite exclusive as Snapchat does have the right to use other companies for some of its cloud services. Even with this contract in place, the filing admits that development of Snapchat apps gets more attention on iOS than Android, simply because the app itself is more popular on Apple’s platform. The filing also mentions that Spectacles will be sold more widely in the future. 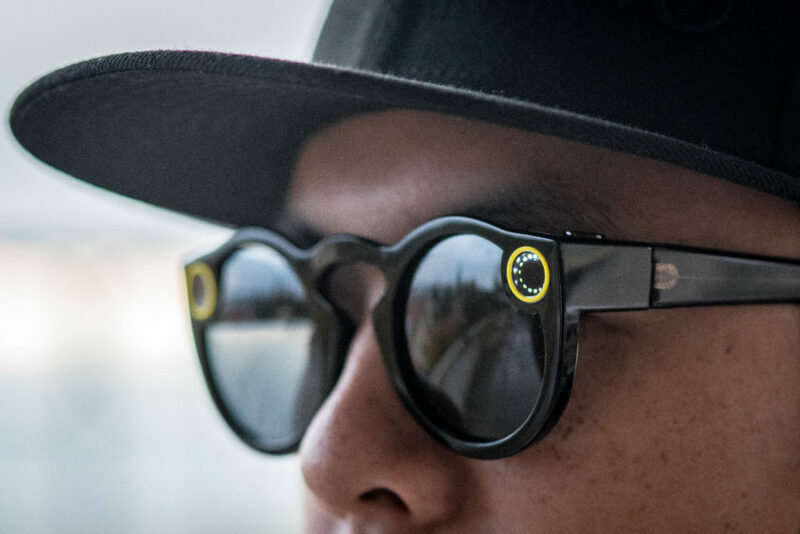 The camera sunglasses, which record short video clips that can be sent directly to the Snapchat app, were launched in late 2016 in a popup store in New York City and in a vending machine that toured the country. Today, Snap said it will “significantly broaden the distribution of Spectacles” in the future, but specifics were not revealed. The company says that it will officially go public sometime in March, and hopes to raise $3 billion with the IPO, which would make Snap itself valued at over $20 billion. Will you be buying Snap stock when it goes on sale? Let us know in the comments!